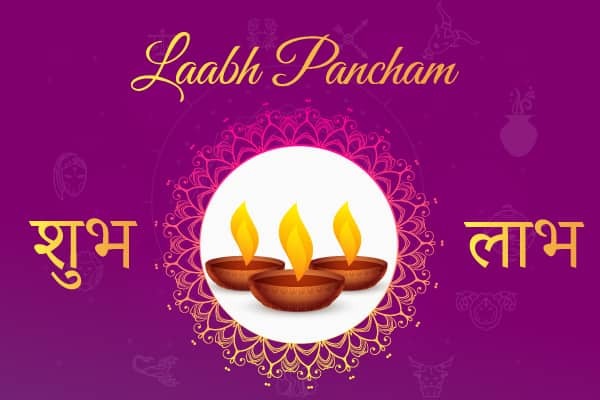 Labh Pancham or Labh Panchami is celebrated on Kartik Sud Pancham wherein Labh means "Benefit" and Pancham means "Fifth". It is also known as "Laakheni Panchmi", "Ghyan Panchmi" and "Saubhaagya Panchmi". It is the final festival of the Diwali Period and a day when the shops and businesses which were closed on account of Diwali Celebrations are reopened. This year it falls on October 25, 2017, which happens to be a Wednesday. Labh Pancham usually falls one week after Kali Chaudas, five days after Diwali and three days after Bhai Dooj. Jains celebrate Pancham or Panchami by worshiping their books and praying for more knowledge with different materials, sweets and fruits. They Hindu business men worship Goddess Lakshmi and open their accounts. He is the true beneficiary and the truly victorious, who has installed the consort of Lakshmi, God, in his heart. Do you want to boost your financial situation this Labh Pancham? If yes, buy the 2018 Finance Report. In the days from Diwali to Labh Pancham, it is a tradition to visit friends and relatives, and to renew good relations amongst them all. Sweets and other gifts are exchanged symbolizing the sweetening of relations with each other.